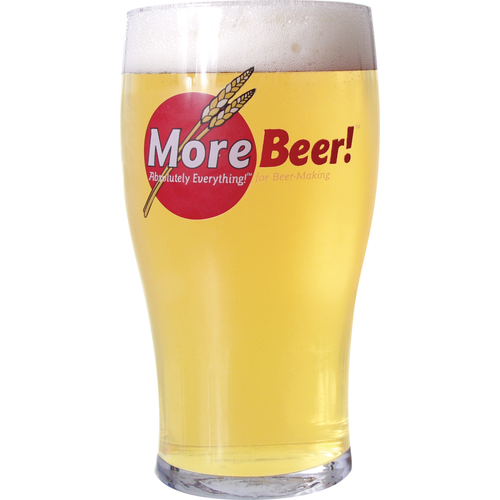 A crisp, golden pilsner with a light malt flavor that comes from MoreBeer! Pilsner malt extract. The spicy hop flavor comes from the Czech Saaz hops that are added late in the boil. Low in fruity esters as is characteristic of this style. Added body comes from the addition of Dextrin Powder. 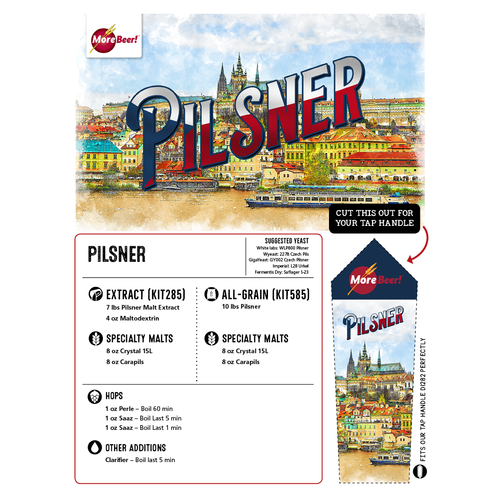 We want to brew a pilsner for the upcoming summer season and have liked all of your recipes so far. Very mellow and true to the style. I found it a little boring, but it tastes exactly how it's described. Bought this expecting a nice light colored beer like in the picture. There is no way you could make this beer that color. The "pilsner" LME is way too dark of a color and after the boil it doesn't have a chance of coming out as a light colored beer. Should probably get something with light DME if you want to actually have a light colored beer. The information in the description and the picture are both misleading. Will not purchase again. I would hardly call this a "golden" Pilsner. 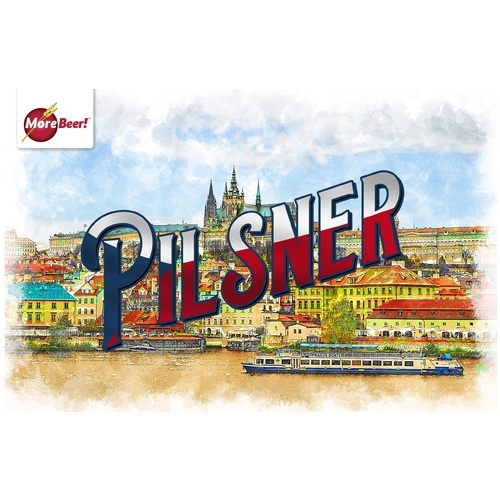 The pilsner extract is a darker color and if you do all of it for the full boil there is no chance you can get a golden/lighter color out of this beer. I did a full 5 gallon (well... 5.5 or so to account for evaporation) boil and this beer stood no chance at yielding a light color in the final product. I don't even think doing a late LME add to the boil would have saved it. The picture and the description are very misleading. It's still fermenting at this point so I don't even know how it tastes yet but I'm already pretty disappointed with it... Even if it ends up tasting fine I won't be purchasing this again. I had really wanted a nice light colored beach beer for later in the summer when I'm on vacation and this kit was not what I expected/was hoping for based on the description. This was my 1st try at a lager and I was extremely happy with outcome. Carbbed up just in time for summer. Will make for a great brew on any warm day.